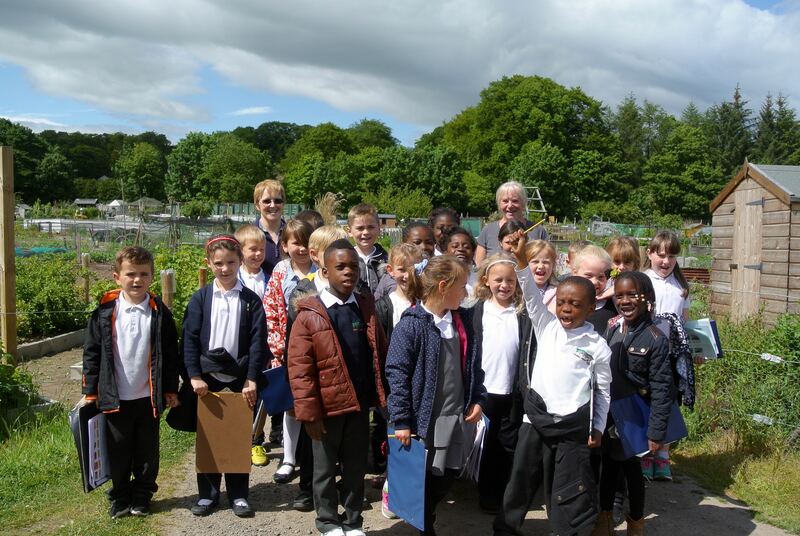 After a successful programme of visits in 2015, GFAA is about to enter a third season working with staff and pupils of Kaimhill Primary School. In June 2015 we established our collaboration. 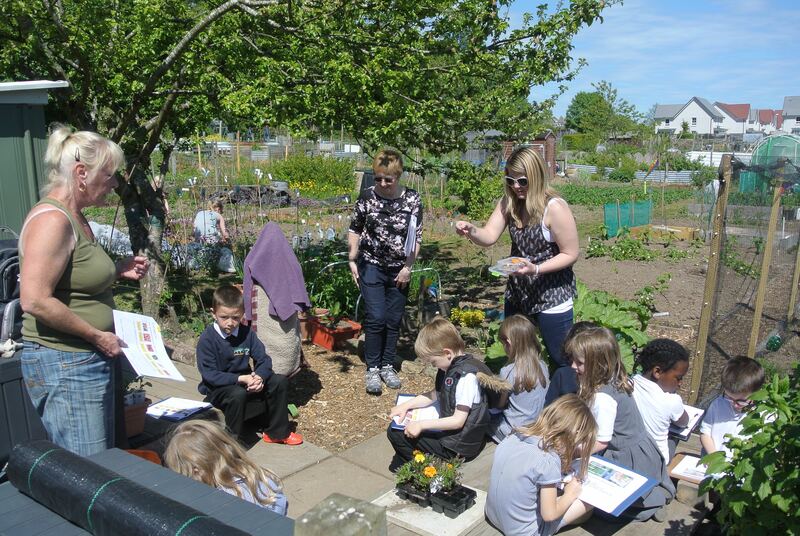 A series of Primary 2/3 visits took place and in the 2016 session we established a Kaimhill Primary Plot that was worked and harvested by pupils from the school, with a little help from our plotters. 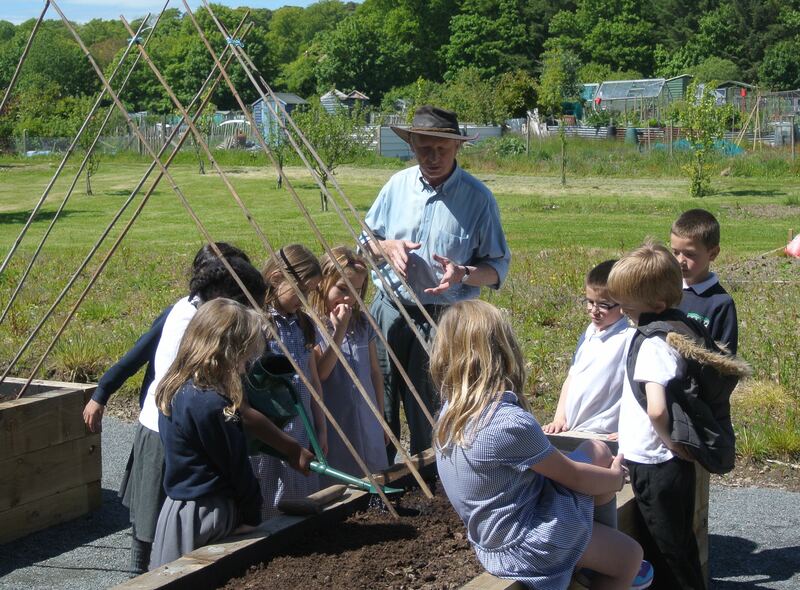 Activities in 2016 involved groups in 15 planned visits and activities included a sowing and growing session with Stuart, a Veggie Trail visit to Gill’s Plot and a Fruity Treasure Trail around the wider site as well as stone painting, sowing and planting with Jacqui and Marion and site maintenance with Norman. 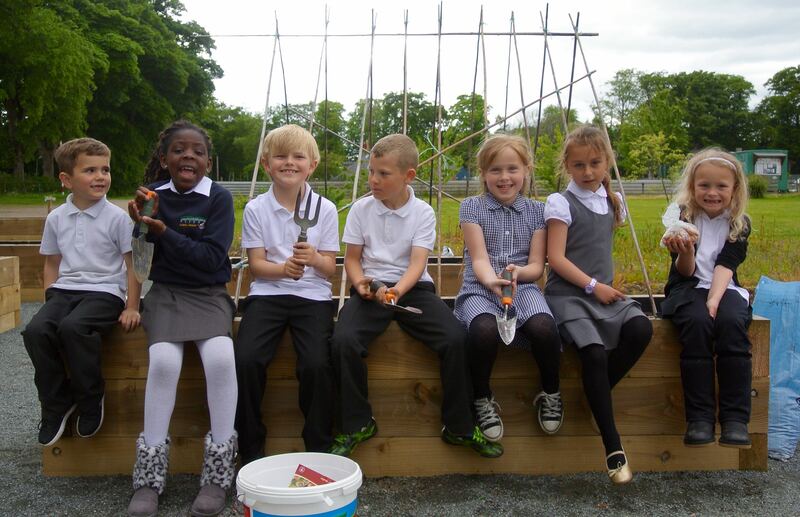 Thanks go to Mrs Rough, Depute Head for facilitating these visits and for her advice on how best to use our site as a venue for School Visits and Projects. We hope to see regular visits in the 2017 year ahead and into the future. We will be keen to hear from other schools and organisations interested in developing such collaborations.